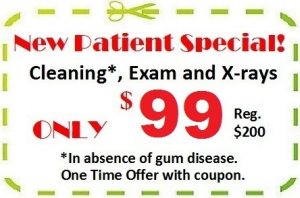 Get the healthy smile You always wanted! 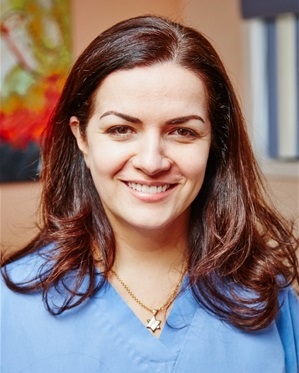 Cedarhurst dentist, Dr. Alina Bergan offers compassionate dental care for Woodmere, Cedarhurst and all nearby communities. She has established herself as a dental professional who can be relied on to provide excellent care in all aspects of her practice. Patients trust Dr. Bergan because of her continuous advancement and expertise, with extensive training in aesthetics to go along with an already stunning résumé. She has also made a commitment to her patients by providing and maintaining a safe, family-friendly office environment. Dr. Bergan offers an expansive collection of professional dental procedures including general, restorative, and cosmetic dentistry. Whether you are an adult, a child, or someone with special needs, we work hard to make your dental visits positive. Some of the services we provide. At our amalgam-free practice, Dr. Bergan performs thorough exams that include digital x-rays, allowing her to share detailed images of your teeth and gums when reviewing her findings with you. Our Cedarhurst dentist listens carefully to your concerns so that she can recommend the most appropriate treatment for your unique circumstances. At the Cedarhurst dental office of Dr. Alina Bergan, we know that one size does not fit all and customize the care we provide according to the patient. We understand that your oral health can change due to many factors, including complex medical and dental conditions. For this reason, we also tailor your treatments to meet your special health needs. Every operatory room is spacious enough to easily fit wheelchairs and walkers. You can count on our warm and friendly staff to greet you with a smile. Our Patients quickly become like family to Dr. Bergan and our Cedarhurst dental team. We take great reward in providing quality dentistry for Five Towns. To learn more, or to schedule an appointment, call our office today at (800) 223-0801. On-site parking available, Open Sundays!